Suburban Philadelphia, July 1975. This semi-autobiographical short film follows Mary “Jo” Parker, a thirteen-year-old tomboy, fifth of seven in a large Catholic family. Her wheelchair-bound brothers Matt and Daniel suffer from Duchenne Muscular Dystrophy, while parents Dorothy and Peter hold together a dysfunctional family with a deflective balance of silence and humor. Life is both hilarious and painful for the Parkers, who refuse to be defined by disability. Jo questions her feelings for another girl, but her self-discovery is put on hold when she learns Matt and Daniel are dying. The Parker Tribe movie trailer. Art and Algorithms is a developing festival with big aspirations and we receive good media coverage in Florida and much further afield via social media etc. 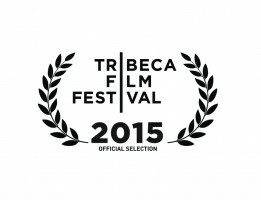 As an invited and curated film festival all invited films are screened. I hope that you are interested in participating in the Art & Algorithms Film Festival and I look forward to hearing from you. So great to meet you at NYTVF! Congrats on all your awards! Keep me posted on what’s coming up next for this series!! I’d love to help out, so if there’s anything I can do, let me know, even if it’s just spreading the word, let me know!